Forty years ago, endurance riding was in its infancy, and riders took to the trails wearing blue jeans and cowboy hats on horses sporting Western saddles and leather halters, carrying hand-drawn maps of the 50- and 100-mile trails. Today, horses sport lightweight saddles and Biothane® tack, and riders in Lycra® tights carry GPS devices to help them stay on the trail. Very few endurance rides have adjusted to the changes and are still giving riders the opportunity to challenge the same trails as they were years ago, but the Big Horn 100 – born back in 1971 – continues to be one of the premier rides in the country. 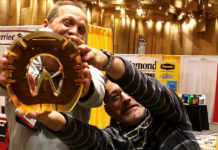 Held each summer since 1971 near Shell, Wyoming, the Big Horn 100 predates the founding of endurance’s national organization, the American Endurance Ride Conference. Back in 1970, Terry and her husband Dale read about the Squaw Valley to Auburn, Calif., Tevis Cup ride in Western Horseman magazine. “We can do that, too, right here in our own backyard,” declared Dale Perkins. A year later, five riders finished the first-ever ride. 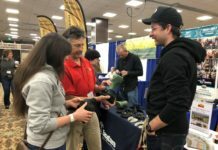 The next year, the Big Horn became first 100-mile ride officially sanctioned by the fledgling American Endurance Ride Conference. 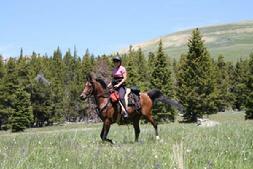 Riders from all over the United States, Canada and Australia have come to Wyoming to take on this challenge. Jeanette Tolman, who rode the second Big Horn ride back in 1972, and six times after that, now serves as the ride manager, overseeing all aspects from paperwork, volunteer and veterinarian coordination to making sure the trail is marked well enough for participants to find their way on steep mountain trails throughout the night, lit only by the new moon and hundreds of glow sticks set out along the course. The ride begins with a jeep road to Adelaide Lake, “a jewel surrounded by alpine meadows, streams and spectacular rock formations,” says seven-time finisher Cindy Collins. At the high point of the ride, at almost 11,000 feet elevation, the entire Bighorn basin of Wyoming is spread out below riders with views of the Beartooth, Absaroka, Pryor and Wind River mountains in the distance. 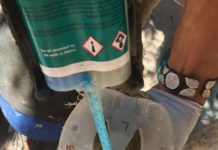 Four veterinary checks spread out along the course insure the horses are well-hydrated and have no lameness or metabolic issues. Riders descend toward Jack Creek and will likely view a spectacular sunset as they make their way through mountain meadows filled with wildflowers. “The stars in the Wyoming sky look like you could reach up and touch them,” said Collins. “As you make your final drop onto the red desert floor, you know that you and your horse have accomplished something magical that no one can ever take away from you. 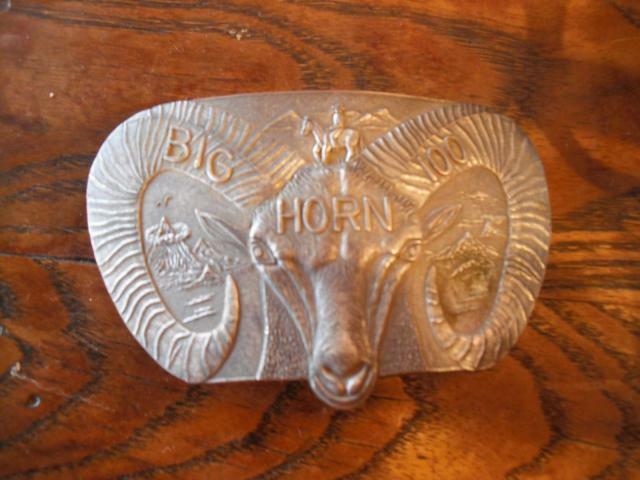 Those riders who complete the grueling competition earn a silver belt buckle emblazoned with an image of a bighorn sheep, engraved “Big Horn 100,” a lasting memory of 100 miles spent communing with nature and their trusted horse. Last year’s winner was Kerry Redente of Salida, Colorado, who completed the course in 17 hours and 30 minutes on her Arabian gelding, Bountyful Prince+. 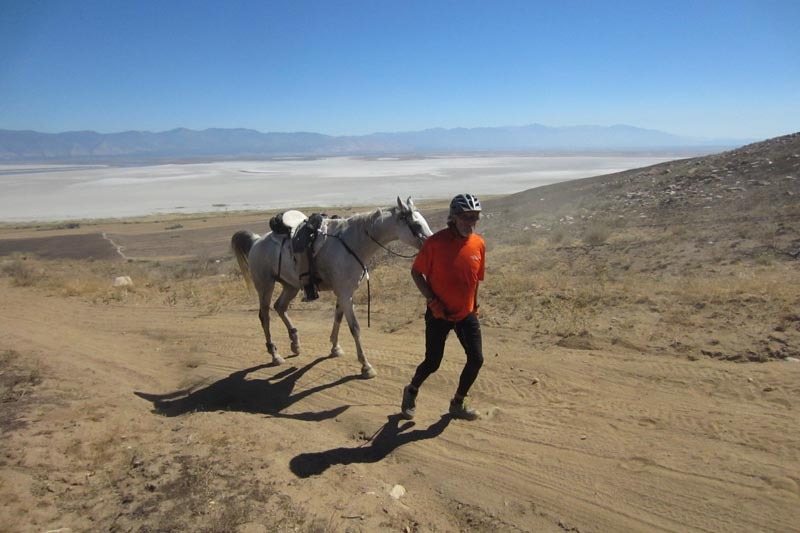 The Big Horn 100 is one of very few distance rides that are considered “must-do” rides, the others being the Western States Endurance Ride (“Tevis Cup”) from Squaw Valley to Auburn, California, and the Old Dominion Endurance Ride, held in the Shenandoah Mountains of Virginia. And for those interested in distance riding, just not ready for a 100? The Big Horn offers both a 30-mile and 55-mile rides as well. Those interested in experiencing the Big Horn not on horseback are more than welcome to participate as volunteers. This press release was originally posted by Troy Smith/AERC to American Horse Publications. EasyCare will have representatives present at this 40th edition ride, so if you’d like help fitting or applying boots, please post a comment below or send an email to marketing@easycareinc.com. More information is available on the ride itselt at www.bighorn100.net. I’m curious. Has anyone ever done a study on how many Endurance riders use protective boots and how many use steel shoes? I’m thinking percentage wise as in for example 50% use boots 50% use shoes.